Electric vehicle company Tesla has opened up its technology to other EV manufacturers in an effort to stymie the ‘enormous flood of gasoline cars pouring out of the world’s factories every day’. In a blog post, its chief executive Elon Musk said that Tesla originally pursued patents because it feared the major manufacturers would copy its technology and use it in a mass produced scenario to ‘overwhelm Tesla’. However, he said the opposite had in fact happened, with the main car manufacturers showing little interest in zero emission cars. He said: ‘Electric car programs (or programs for any vehicle that doesn’t burn hydrocarbons) at the major manufacturers are small to non-existent, constituting an average of far less than one per cent of their total vehicle sales. 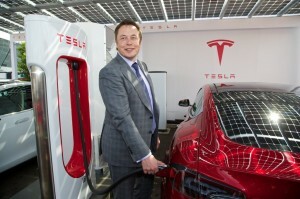 Mr Musk said he believes that all electric car manufacturers, as well as the world, ‘would all benefit from a common, rapidly-evolving technology platform’. ‘Given that annual new vehicle production is approaching 100 million per year and the global fleet is approximately two billion cars, it is impossible for Tesla to build electric cars fast enough to address the carbon crisis. ‘By the same token, it means the market is enormous. Our true competition is not the small trickle of non-Tesla electric cars being produced, but rather the enormous flood of gasoline cars pouring out of the world’s factories every day,’ he said. He added: ‘Technology leadership is not defined by patents, which history has repeatedly shown to be small protection indeed against a determined competitor, but rather by the ability of a company to attract and motivate the world’s most talented engineers. ‘Tesla will not initiate patent lawsuits against anyone who, in good faith, wants to use our technology,’ he added. The change comes as Tesla delivered its first right hand drive Model S, to five drivers in the UK – including Fifty Shades of Grey author EL James. Mr Musk was on hand to present the keys to the new owners. 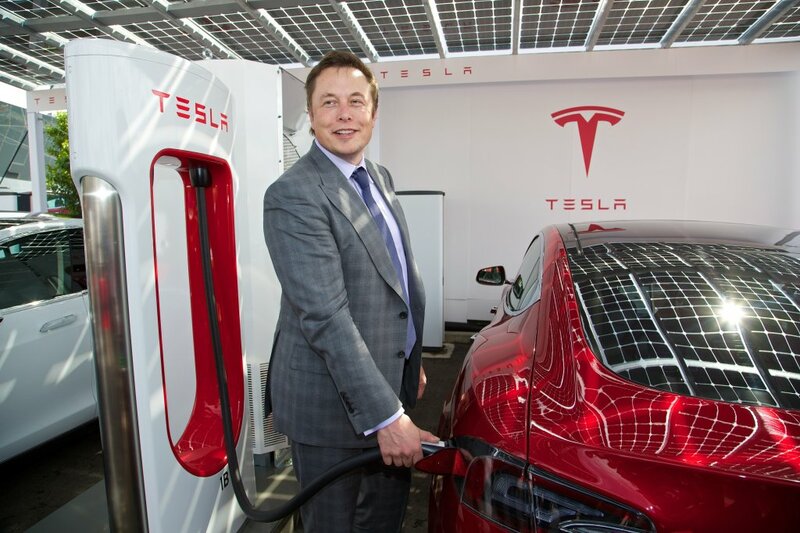 He said: ‘We’re going to be deploying Supercharges throughout the UK and Ireland so you’ll be able to travel anywhere in the British Isles just using the Superchargers for free forever [by the end of next year]. 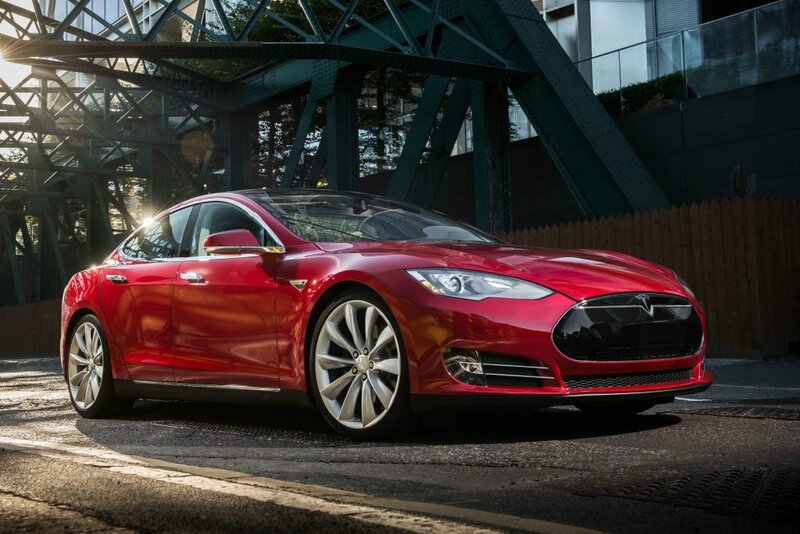 Visit the Tesla Motors website for further details.